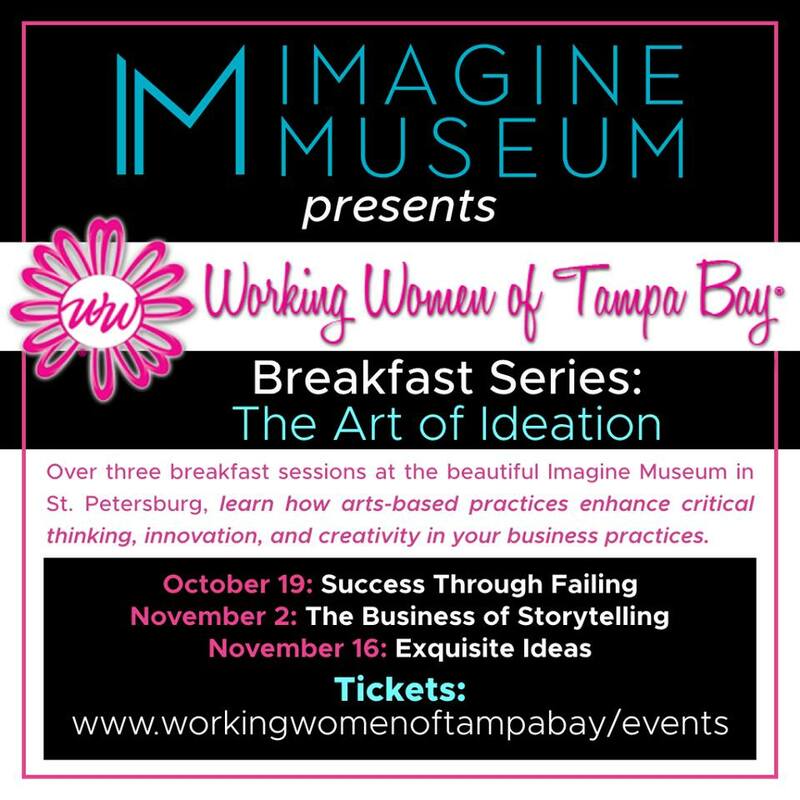 Working Women Of Tampa Bay is teaming up with the Imagine Museum to present a new breakfast series: “The Art of Ideation.” This week’s topic is Exquisite Ideas. Disrupting our patterns of thought is no easy trick. This workshop combines art and virtual reality to interrupt decision patterns as a means to generate surprising and potentially revolutionary perspectives. Thursdays are $5 after 5 PM!